Gianluca Amoni is a bartender and mixologist of Italian origin. He delights us on this occasion with his original Sicilian in Milan cocktail. A reinvented cocktail based on the original recipe of the Milano Torino cocktail, a classic Italian aperitif. Currently, Gianluca is a leading bartender in BRANDO, in Mixology Bar Milano, and is part of the Bartender Certified – Italia bartender team. Gianluca Amoni is an experienced bartender and mixologist and offers advice for bars and clubs and gives courses as well as personal training. 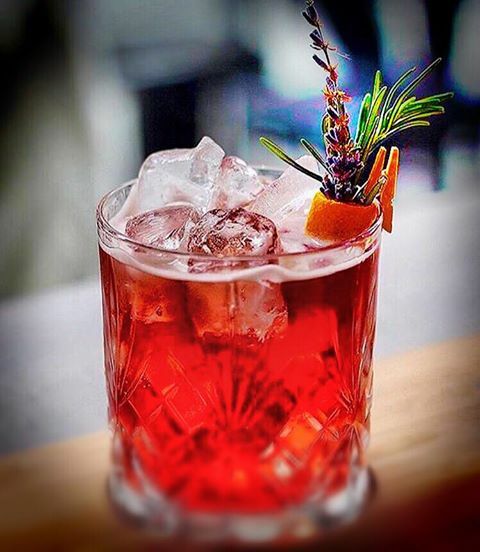 Here is the Sicilian in Milan cocktail recipe by Gianluca Amoni. It is a recipe that expresses flavours of the Mediterranean. A bit of history in this cocktail in which Gianluca, relates to his Sicilian grandmother. Mix ingredients in a cocktail shaker. Add a sprig of rosemary with an orange shell at the end for garnish. Taste!